The #torybingo Twitter storm continues today, having dominated discussion around yesterday’s budget from around 9pm last night. Activists with image manipulation skills are now adding further fuel to the piss-taking by producing their own related imagery. There is a tumblr account logging many of the posts and countless more plastered across social networks. The three above are my personal favourites. One is a pastiche of the original poster but instead carries the headline “Get pissed, proles. 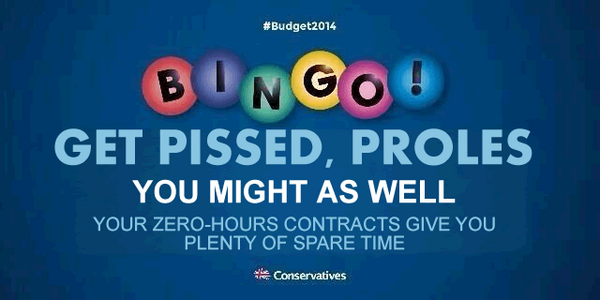 You might as well, your zero hour contracts give you plenty of spare time”. 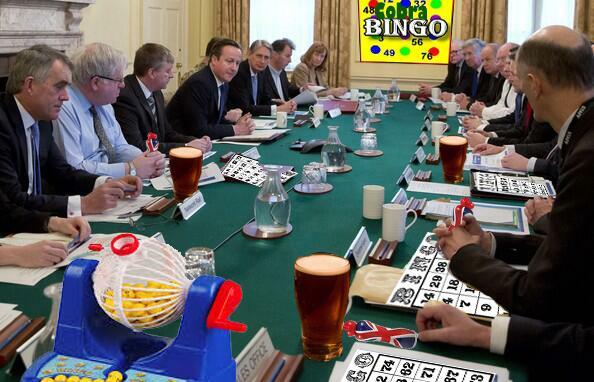 Another shows David Cameron’s coalition cabinet as a bingo arena. 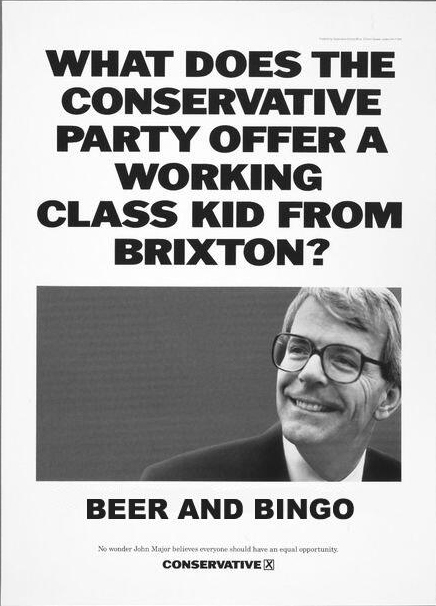 And the final one is a parody of a poster from John Major’s Conservative Party leadership which appealed to working class voters.